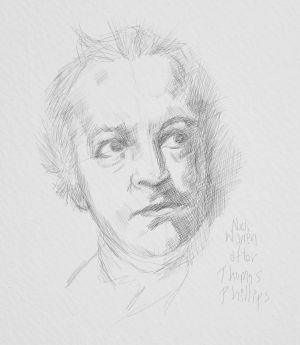 This William Blake biography is an overview of a great artist's life and work. It is illustrated with william Blake paintings and illustrations that I have photographed personally. William Blake was born on the 28th of November 1757 in Broad Street London. His father was a hosier, fairly prosperous for the time and area. Blake’s father was pleased to learn of his son's abilities as a draughtsman and gave him money to buy prints and materials as inspiration and to copy. At the age of ten Blake went to a preparatory school for would be artists. Henry Pars drawing school in the Strand was a fashionable place at the time. It was founded by William Hogarth in 1735. Five years later Blake wished to be placed in a painter's studio as an apprentice but his father could not afford the fees plus he wanted William to have a trade to fall back on. He paid 50 guineas (a guinea was one pound plus one shilling)to place him with a master engraver named James Basire. An apprenticeship lasted seven years and Blake was taught varied techniques in etching and copying. Basire worked on many prestigious books of the time most notably New System of Ancient Mythology by Jacob Bryant. Blake also informally studied gothic architecture in his spare time. After his seven years was up Blake set himself up in business although he remained at his parents' house. He took on commissions for various publications and magazines. The Royal Academy of Art had been opened 10 December 1768. Blake enrolled but found the strict discipline of life drawing unsuited to his taste. His opinion was that the study of the natural world in detail dulled his own vision. Blake married for love rather than advancement, an unusual step for his time and class. Catherine Boucher was the daughter of a Battersea market gardener and thus seen as of a lower class by Blake's father, but his main objection to Catherine was probably the fact that she was illegitimate. Blake set up his first matrimonial home in Green Street but returned to Broad Street two years later to live next door to his mother on his father's death. William's brother, Robert, began living with them at this time and became a pupil, learning all he could from his gifted brother. This important relationship was snatched away when Robert died suddenly. It is likely that it was at this time William began to communicate with all manner of friendly spirits including his brother, angels and biblical figures. In 1788 Blake began working on 'Illuminated Printing', the combining of words and illustrations on copper plates. 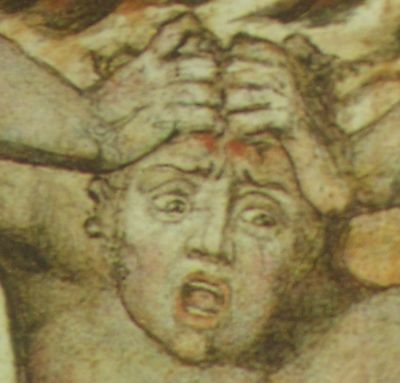 Blake claimed that his dead brother gave him precise instructions that enabled him to develop a relatively inexpensive technique. In effect Blake would work on the copper applying an acid resistant fluid with brushes and quills before using acid to destroy the untreated surface. This in effect created a metal equivalent of a woodcut. He would then print in the usual way adding colours to the plate and pressing the plate to paper. The prints would then be worked on further with watercolour. 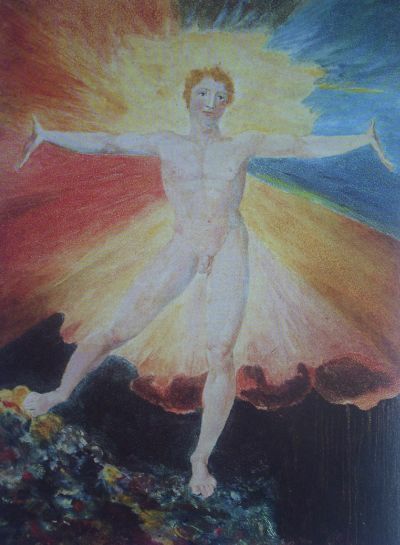 Blake was also developing as a poet and in 1796 wrote and illustrated Songs of Experience alongside the companion works of Songs of Innocence, his views on the duality of human nature. Another move took the Blake’s to 13 Hercules Buildings in Lambeth. Blake continued to work on many prints including God Judging Adam. Blake's main patron Thomas Butts a civil servant was many an artists dream. A collector more interested in the artist than the art, or perhaps more accurately Butts trusted Blake's vision, knowing he would be rewarded with excellent work. Butts gave Blake 50 guineas with an order for 50 small pictures. In 1800 William and Catherine moved to Felpham, Sussex, at the invitation of William Hayley. Hayley commissioned a series of plates to illustrate a biography of William Cowper that Hayley was writing. The Blake's spent three years enjoying a small cottage near the sea. Blake, a lifelong Londoner, was smitten by the unspoiled English countryside but it nourished his remarkable inner life rather than as a direct influence of his work. He saw fairies and Muses among the trees and fields, regularly speaking with and about them. Meanwhile he worked unenthusiastically on the commission. The subject was tedious and lacking in imagination. In 1803 Blake found a soldier in his garden. In one account the soldier claimed he had been sent to cut the grass outside the cottage. In another it was said Blake found the soldier urinating. Blake was opposed to the war raging with France and had, in fact, been sympathetic with the French struggle for independence not too many years before. He physically tussled with the soldier and was reported to have said 'Damn the King and damn all his soldiers, they are all slaves.' He was arrested and prosecuted for the assault and more seriously sedition. Hayley was a member of the local gentry and an influential figure in the county and managed to get Blake acquitted on condition he leave the area. Back in the capital William and Catherine settled into one floor of a house in South Molton Street. The following years were difficult. 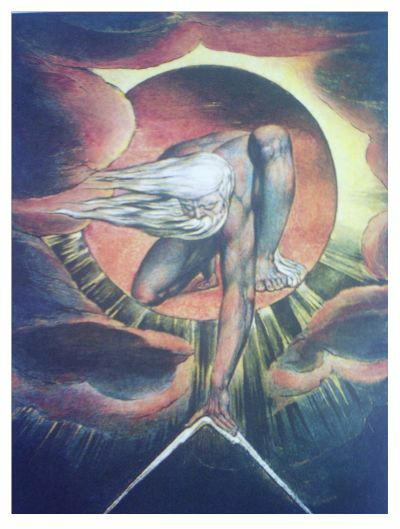 Blake struggled to find work and spent some of his time working on his own interests, illustrating his poem Milton and a book called Jerusalem. Thomas Butts continued his patronage of the aging artist, buying minor watercolour paintings. It is quite likely Blake relied on Butts alone for several years. In 1818 Blake's professional life brightened considerably. 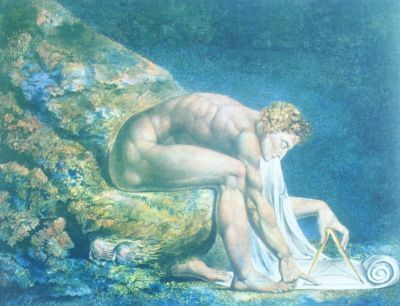 A painter named John Linnel paid Blake for the larger part of his works. Linell also introduced Blake to a group of admirers interested in both his spiritual experiences as well as his art. Blake's last major commission was for Linell. Linell asked him to make 22 engravings to illustrate the Book of Job paying £5 per engraving. 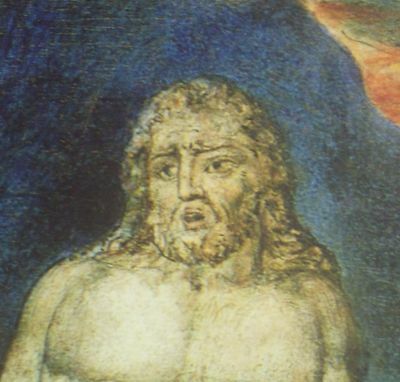 The younger man was also instrumental in Blake's Dante's Divine Comedy designs. A work that was sadly far from complete at the time of Blake's death. Blake died on the 12th of August 1827 aged 69 and was interred at Bunhill Fields. 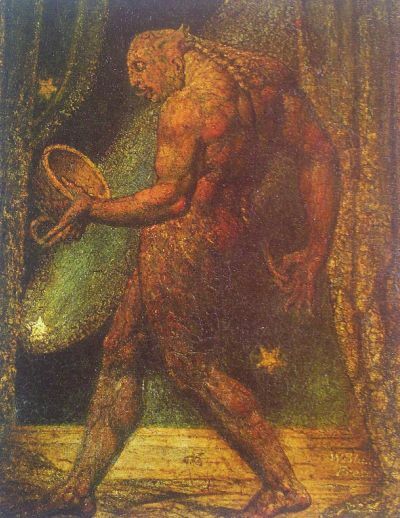 My favourite among William Blake prints is undoubtedly The Body of Abel - Found by Adam and Eve. This scene is visually striking, deeply emotional and disturbing. Eve weeps over her dead son's body while Adam brought to his knees looks to the murderer, Cain. I have studied this image countless times. 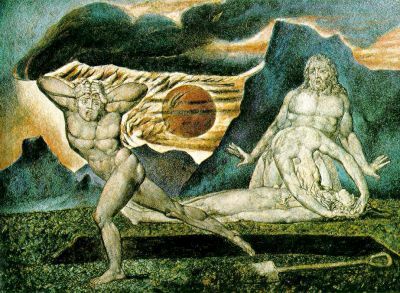 The expression on Adam's face is pained, anguished, horrified and, I think, Blake captured the realization that this murder, although not by Adam's hand, was the consequence of his own disobedience at the time of the fall of man described so vividly in the Old Testament. How often does the parent feel responsibility for the actions of a wayward son or daughter? Compare the face of Adam to Cain.